If you like to travel and you travel lots, you likely travel with a budget in mind. That being said, I also try to refrain from letting my budget restrict me from truly enjoying a city. Fortunately, San Diego is a great city for budget conscious explorers. First of all, the weather is great almost every day of the year (although I was surprised to learn from locals that September, when I was there, is the hottest month). Secondly, there are lots of great things to do for free. I didn’t set out to travel on a shoestring but all the things I wanted to do in San Diego turned out to be really affordable! Here’s how to spend a fantastic day in San Diego and really get a feel of the city on a $20 budget. Your best bet for this itinerary would be to visit on a Sunday or a Tuesday. Visit Balboa Park. Stop by the cafe across the Visitor Center to pick up some breakfast. You can get a savoury or sweet scone “the size of your face,” as described by the cashier, for $3. All jokes aside, it was delicious and was a popular stop for many people, even staff from the park were in line. The Visitor Center opens at 9:30 and you can get a free map and information about the park; donations are welcome. You can get a free tour with a park ranger on Sundays and Tuesdays and learn about the nudist colony that once lived in the park or the extinct plant species only seen in the Botanical garden. Some websites and flyers say the tour is at 1pm but it was actually at 11am when I went so be sure to call ahead. 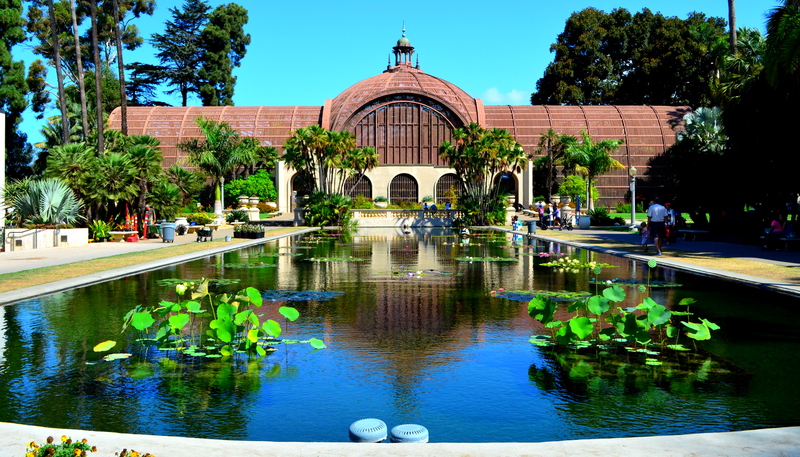 Balboa Park also houses 15 major museums as well as the San Diego Zoo. Of all the museums, only one is free and that is the Timkem Museum of Art where you can enjoy a Rembrandt or a Rubens (and some much needed air conditioning when I was there). I also recommend a visit to the Botanical Garden and Lily Pond (which you visit on the tour – open Friday thru Wednesday 10am to 4pm); See the Deppea splendens – thought to be extinct in the wild. There is also a free tram in the park but I found most of the main attractions to be within reasonable walking distance. There are also free concerts on the world’s largest outdoor pipe organ every Sunday afternoon from 2-3pm. I was a little disappointed that I had leave Sunday morning. 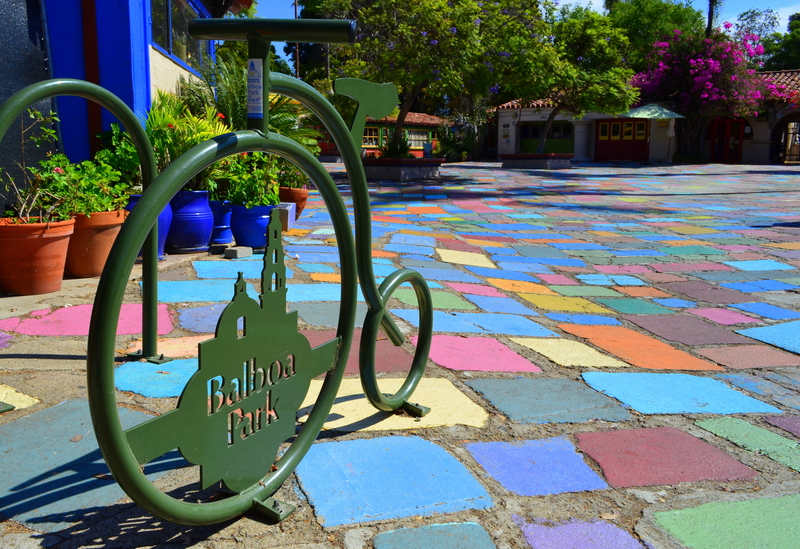 Get your fill of local art at the Spanish Village Art Centre in Balboa Park. This colourful village houses 37 artist studios and galleries leading me to call it, “the artist colony”. Pack your own lunch and enjoy it in Balboa park’s award winning Rose Garden near the Spanish Village or you can enjoy lunch with a view on the patio of The Prado if your budget is more flexible. Transit: one way rides on the local bus are $2.25 and trolley rides are $2.50. You can get a $7 day pass on the bus or a $5 day pass if you have a “compass card” (which cost $2). Compass cards can be purchased at trolley stations, transit centers, or any Albertsons stores (but not on buses). You can also get a multi-day pass but those are not available for purchase on the bus either. My bus driver happened to have a spare compass card on her which she kindly gave to me; lucky me! 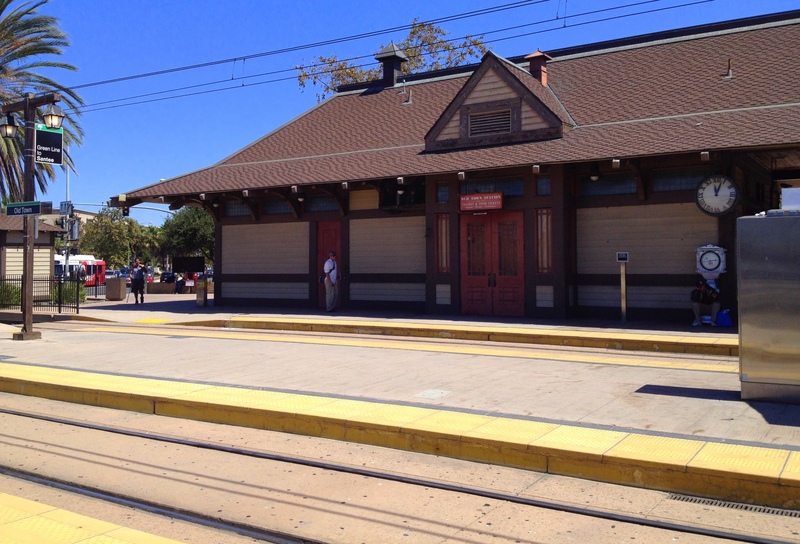 From Balboa Park, take the number 7 bus and make your way to the 990 N. Harbor Drive Ferry Terminal. From there, catch the ferry to Coronado (see schedule here). There is another ferry that leaves from 5th Ave by the San Diego Convention Center. I recommend taking the N. Habor one as you get a great view of the USS Midway and a longer more scenic ride. From a practical point of view, the two terminals are only a mile apart so why not take the scenic one. At the Coronado Ferry Landing, there are a few shops and restaurants. You can also get a great view of the San Diego skyline. If you’re there on a Tuesday, there’s a small farmer’s market by the parking lot. Nothing too impressive so you won’t need to spend a lot of time at the Ferry Landing. You can, however, catch a free shuttle (Bus 904) that runs for free all summer. Ride the bus to the famous Hotel del Coronado. Depending on your historical interests, the Hotel del Coronado is a very popular spot to visit. Everyone I talked to recommended it. 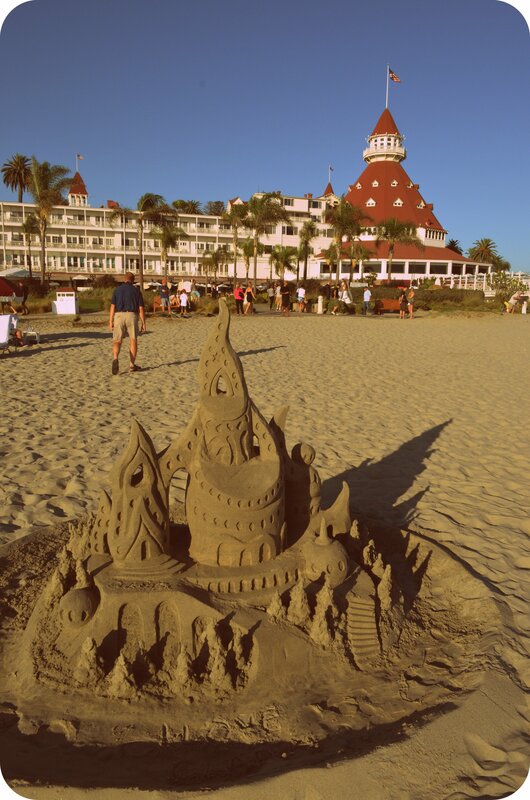 If the hotel is not your thing, you can also visit the Coronado Beach. There were extraordinary sand castles when I was there (which is apparently a tour you can take where you go build enormous sand castles!). I stayed to watch the sunset then caught the shuttle back to the ferry landing. There are a number of places you can go eat in San Diego. I decided to stay at the Coronado Ferry Landing and went to Lil Piggy’s BBQ. It happened to be Taco Tuesday – tacos for 99 cents. I had four; my travel-mate had nine. I can’t say they were the best tacos I’ve ever had but they were still delicious and for $0.99 each, what more could I ask for! Not to mention we had very friendly service. 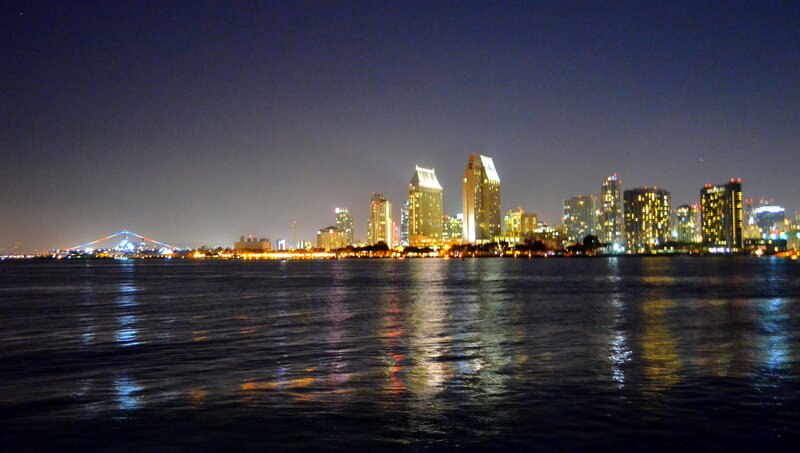 After dinner, it was another scenic ferry ride to enjoy the San Diego skyline by moonlight. So that concludes my highlight tour of San Diego and a really fun filled day. If you have a little more time, I would also recommend a formal visit to the USS Midway as well as a trip to La Jolla (enjoy brunch with a beautiful view at Cody’s La Jolla then walk down to La Jolla Shores). There is also a street market in Little Italy on Saturdays (it’s pretty unremarkable on other days but the market has an impressive number of stalls). I also visited Old Town and the Gaslamp District; I wasn’t very impressed by either so it wouldn’t be my priority if time is limited; it’ll depend on your personal interests. If you take the ferry ride from Coronado to the 5th ave ferry terminal, the Gaslamp District is a few blocks away so you could include it into your one-day highlight tour. All in all, I would definitely recommend San Diego as a stop for any trip through California! Stay tuned for more photos of my trip! Planning a trip to California? See also my posts on Palm Springs and San Francisco!